Take the advantage of the puzzle of contrast by selecting the right bunch of flowers!!! 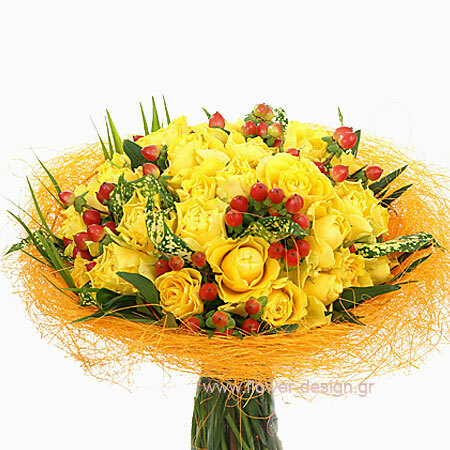 Roses and Hypericum made by our flower shop in Greece. 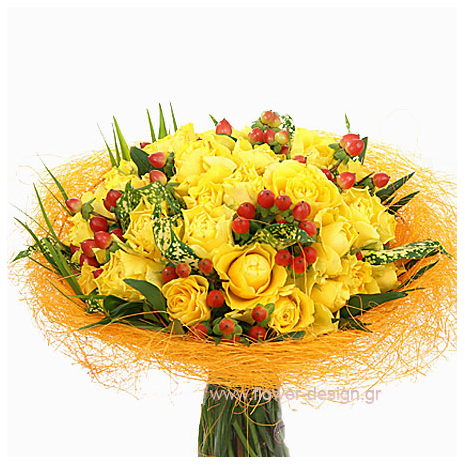 Confidently and fast we delivery your flower’s in Athens. Bigger size means more flowers. All these can be sent in Athens-Greece.